Fall into Great Resilience Strategies! This fall, while the temperatures drop and the leaves may be changing colors and swirling at your feet, wouldn’t it be a great time to work on building Resilience in yourself and in the children whose lives you touch? Of course—because we need to work on our resilience EVERY DAY! 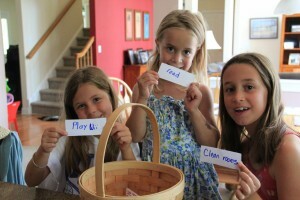 Create a scavenger hunt for children. 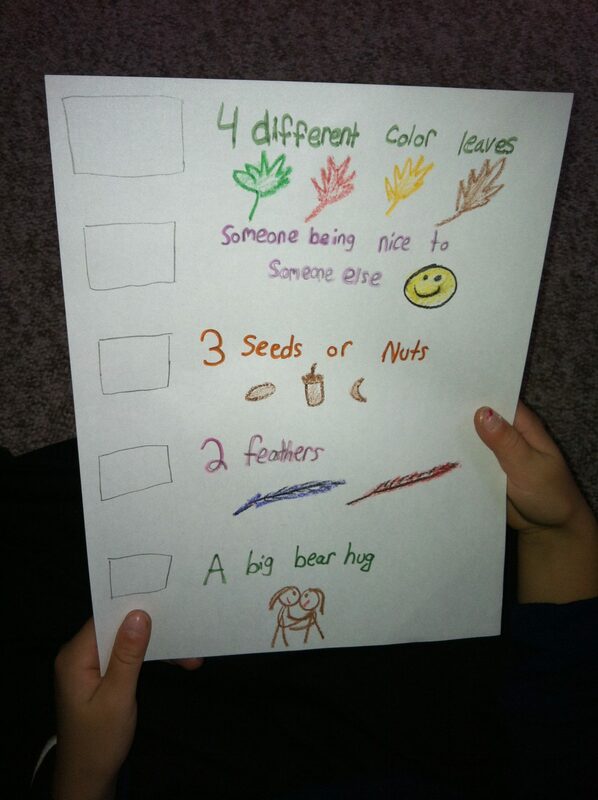 Draw pictures of the items they are looking for, and include some social emotional skills to look for as well! How about looking for someone being kind? How about finding a hug? Have children work in pairs to find the items to help build their confidence and enhance friendship skills like taking turns and working as a team. On rainy or cold days when you can’t play outside, have a “Backup Plan Basket”. Let each child write a few ideas on scrap paper. You can add some ideas too! Then, take turns drawing out an activity for everyone to enjoy. Remind children that everyone needs to participate for a few minutes, even if it’s not one of their ideas. This helps children to learn to accept another choice when their first choice is not available. You’ve heard of making leaf piles. Add to the fun by making fun shapes or even writing messages out of leaves! Children will need to work together to decide on what they are making, and form the letters together. 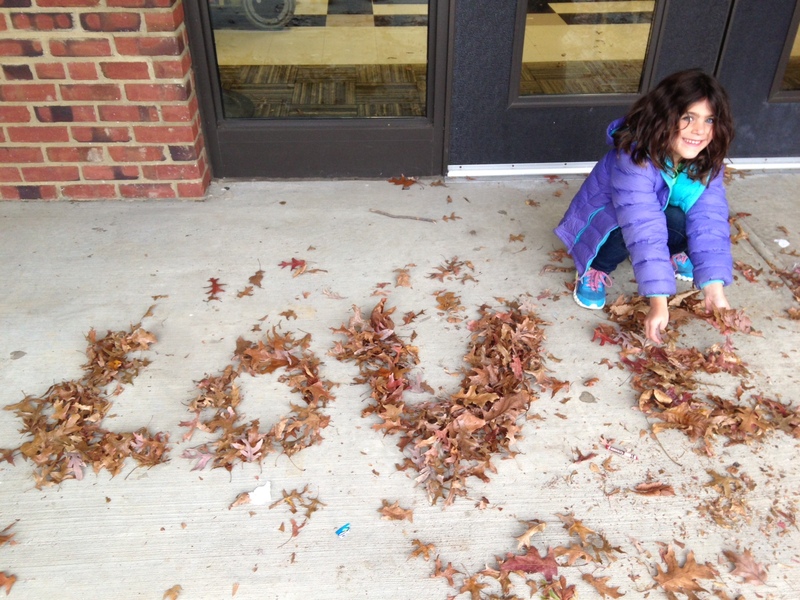 Take photos of your kids with the message, and send to family for a fun fall greeting!